Directed by Jason Reitman, and based on Matt Bai’s 2014 book, All the Truth Is Out: The Week Politics Went Tabloid, this biographical drama chronicles American Senator Gary Hart’s short-lived run for President in 1988. His campaign was quickly derailed when news of his extramarital affair surfaced. 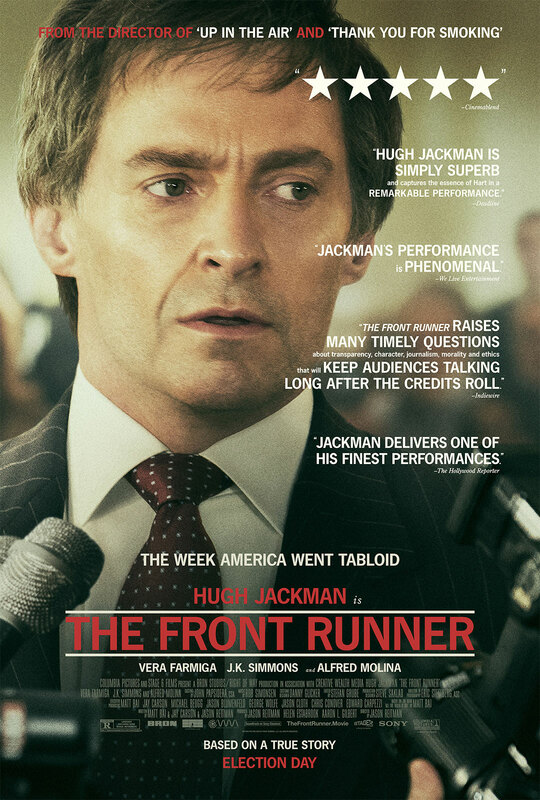 The film stars Hugh Jackman, J.K. Simmons, Vera Farmiga, and Alfred Molina.